In 2009 Mitch Sanders quit his job in IT and was trying to build an internet business. “I didn’t really have a runway of capital to keep me going, so I spent 11 months living in my car ‘cause I couldn’t afford to pay for somewhere to live. I always had a jar of jam and peanut butter behind my seat and that’s how I lived because I didn’t know where the next meal was coming from”. He had also accumulated $90,000 in credit card debt during this time whilst pursuing his dream. His fortunes started to improve. He says “I got my business up to making $50 a day and then making $100 a day and then things started to grow exponentially. As his business began to grow in leaps and bounds, he worried that the internet marketing world could one day become fickle. He needed a secure base of wealth and steady income. He invested in his first property, because he saw it as a firm investment. The first property Mitch bought outside of Binvested was located in Sydney’s eastern suburbs. After coming on board as a client with Binvested, he realised he could have bought 5 or 6 properties with the same amount of money. 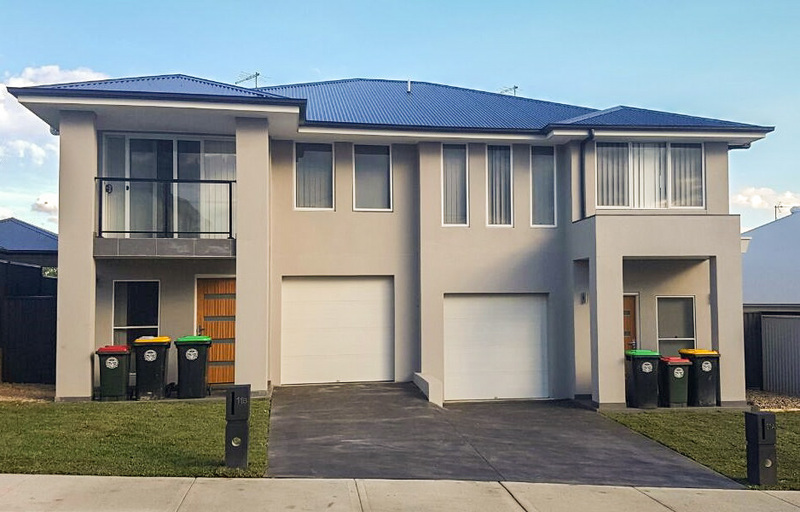 Since then he has completed a developing a pair of duplexes in Western Sydney. The land and builder was secured below market value through Binvested. Each duplex cost him just $500,000 and the comparable market value was over $1 million per duplex. This made Mitch a tidy $1 m of profit within 12 months. Whilst looking for advice about how to make successful property investments, Mitch came across Binvested founder Nathan at a social event in Sydney. Mitch was impressed by Nathan’s drive and his encouragement and became a Binvested client. “I didn’t have the time, energy, skills or expertise to find winning properties. I started to seek out a buyers agency who could do it for me. I ended up speaking to Nathan and picking his brain that I realised he’s been doing this for a long time and he gets real results for his clients”. Mitch began by buying four “bread and butter properties” in his first year. The cost of these properties was between $180,000-$250,000 each. He was able to use equity from these properties to purchase two more. This approach was in contrast to Mitch’s original mindset, as he had previously believed that buying high-end properties with large deposits was best, however, Binvested showed him better ways to utilize his potential and leverage the banks money! At the time of this interview, Mitch estimated that the total value of his portfolio was $4.2 million. He says that his rental income was $75,000+ per year.